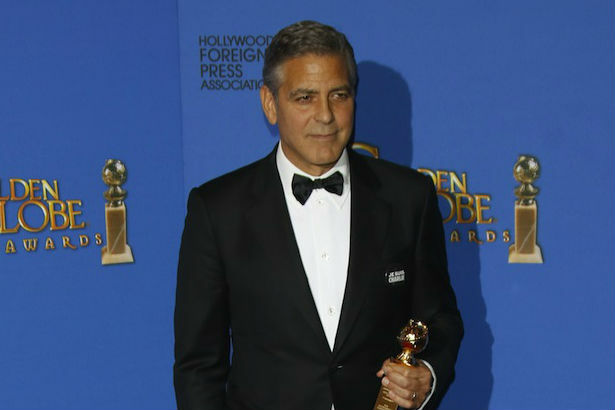 While all of us were gushing over Amal Clooney’s Christian Dior gown (or hating her gloves) at last night’s Golden Globes, George Clooney was having a bit of a low-key fashion moment of his own. The newly-married actor took the stage to collect his Cecil B. DeMille Award, giving a heartfelt speech about how much he loves his new wife. Turns out, that’s not the first time he’s expressed his love for Mrs. Clooney in that outfit. The actor revealed backstage that the tux he was wearing was the same suit he wore for his nuptials to Amal back in September. Seems like the actor was taking notes from Keira Knightley, who famously recycled her Chanel wedding dress (which she wore even before getting married) on the SeriousFun London Gala red carpet. Stars: They wear their tuxes more than once — just like the rest of us!